It’s been a long journey with Soma Yukihira through the gauntlet that is Totsuki Academy: three seasons and countless meals served up to our pleasure. 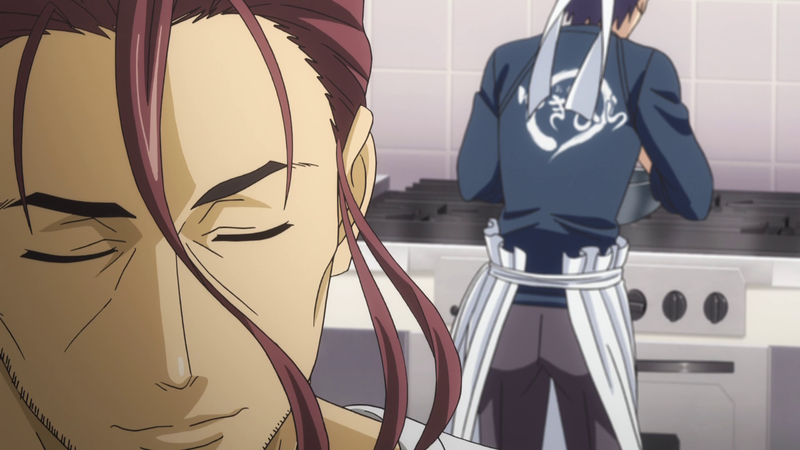 Through it all, Soma’s experience growing up in Yukihira’s kitchen gives him the inspiration to improve. His father, Joichiro Saiba, is a constant figure in those memories, a man looked up to by many, while simultaneously viewed as a hurdle on Soma’s path to becoming the best chef. We also see Saiba in Erina’s childhood as one of her rare moments of happiness. When adults in the culinary world, academic as well as professional, speak of Saiba, it’s with a tone of awe and, often, fear. What happens when such a man falters, when the person you look up to most in the world vanishes? One of the least-discussed shows of this season is Yotsuiro Biyori, a show centering on a Japanese tea shop called Rokuhoudou and the people who pass through its doors. The owner and employees who tend the shop and the people they encounter share their stories from episode to episode in ways that will bring a smile to your face and quell the ailing heart. This, like so many others, is a story about stories. A big part of how Rokuhoudou is able to succeed is thanks to the hard work put in by its staff and the pride they take in their work. No effort is wasted, be it finding just the right ingredient and technique for a new dessert, or recommending the correct item for a customer who at times needs more than to fill their stomach. I haven’t talked about it much on Anime B&B, but I’ve recently become a fan of Boruto: Next Generations despite never having watched or read Naruto. 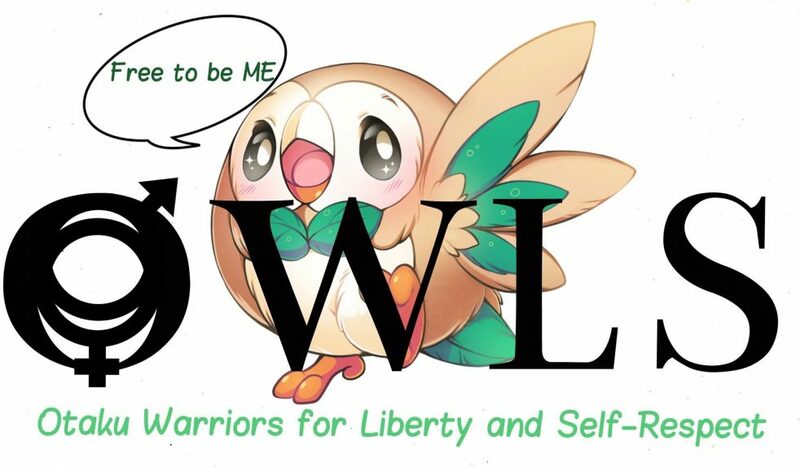 By the time I began watching anime in college, the original series already seemed too far along to try and follow. I also had the misconception of inferiority of any long-running shonen series like Naruto, One Piece, and Bleach. It’s been a long time since then, and my tastes and views have widened considerably. 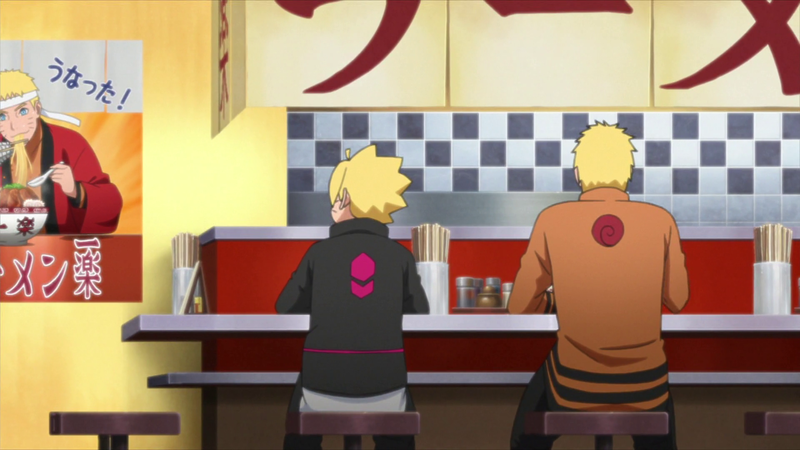 Now I’m fully invested in Boruto’s story, and constantly wondering about events that occurred during Naruto’s school days and whether or not the Hidden Leaf of today is truly a more prosperous place than the Hidden Leaf of yesterday. 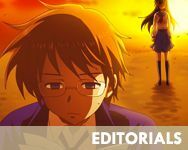 Several years ago when my dream shifted from teaching others how to write to creating something of my own to share, writing about anime started as a way for me to keep my chops sharp. No writing session was without music—I needed it to focus and get into my flow of thought. Much of the music I listened to back then remains with me to this day, though I have added to the playlist over the years. 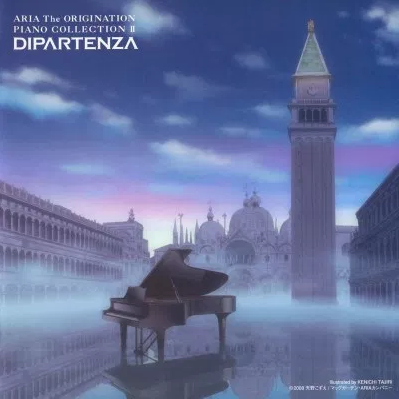 If you have the time, I encourage you to listen to the works I link in this post. Merry Christmas, and Day 1 of the Twelve Days of Anime! 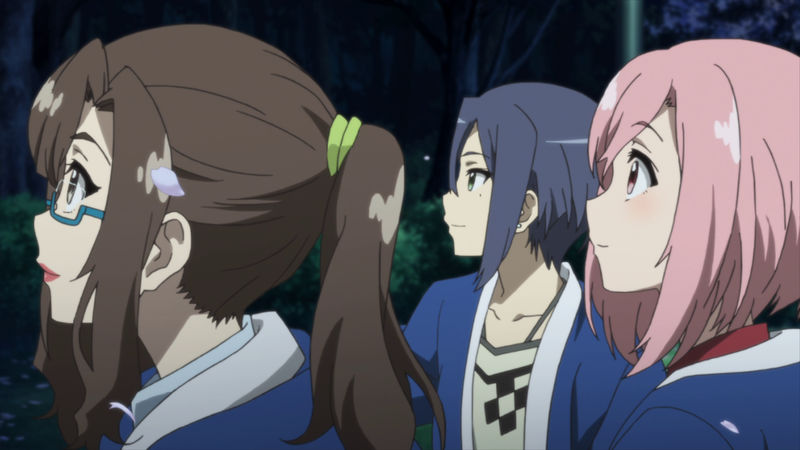 We’ve finally arrived at the end of the series, and I’ve chosen Sakura Quest to lead us into the next year—not because it was the best of 2017, or even necessarily my favorite. 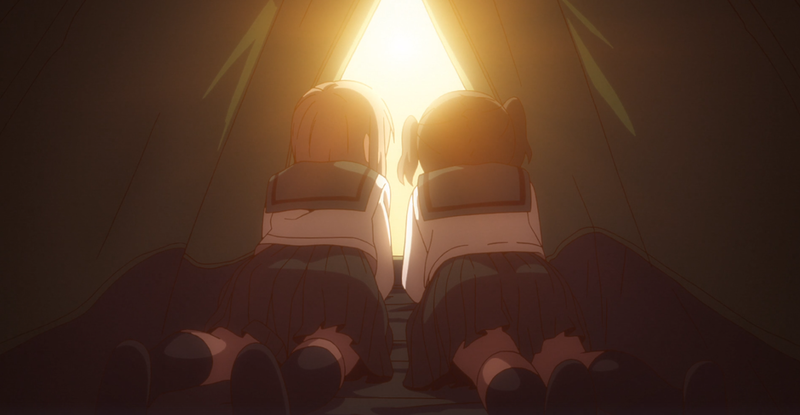 Sakura Quest had its ups and downs. There was a time where I was worried the plot wasn’t going anywhere. 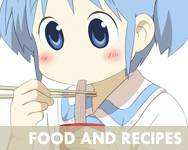 With enough failures, and never ending communication, Yoshino grew along with Manoyama and found a new purpose in life. That’s the message I want to take to heart and relay to you now: learn from the mistakes of this past year, speak openly with the people around you, and strive to improve in the future. Whatever your belief, I wish you a wonderful holiday season and new year. This review is part of the Anime Secret Santa project as organized by Reverse Thieves. For more information, visit the link at the end of this post. 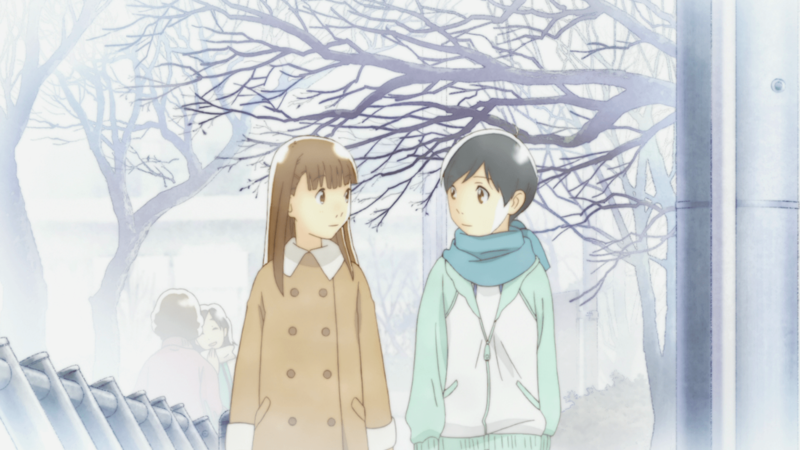 Prior to watching Wandering Son, I had already noticed the past few years’ change in approach towards gender identity. I hadn’t given it much thought other than agreeing that if ‘he’ wanted to be seen as a ‘she,’ then who was I to disagree? Using the requested pronoun wouldn’t hurt anybody or inconvenience me, even if in my mind I still considered ‘she’ a ‘he.’ Nitori and Takatsuki helped me realize that my approach needed to go beyond the surface. Instead of just going with the flow, I should delve deeper and see how my own actions are only a drop in the ocean of human equality. Their characters, complex and conflicted, work alongside a strong script and aesthetic to tell a story questioning exactly what it is we’re made of. You didn’t think I was going to write 12 Days without referencing one of the best series of the year, did you? 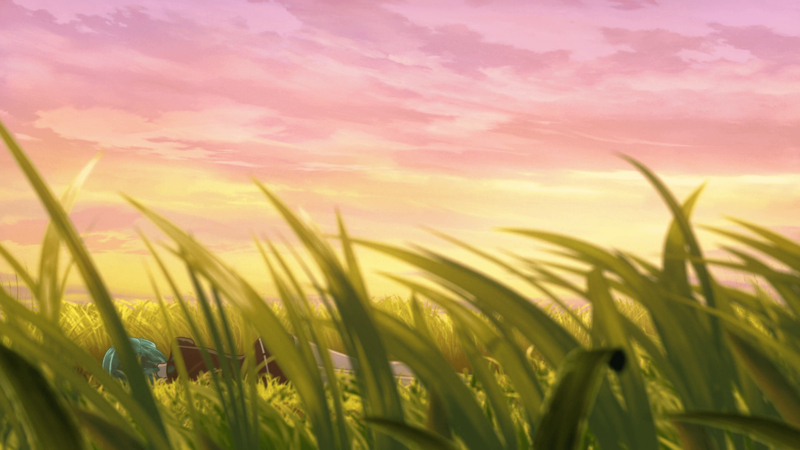 There is no participating in the event without Land of the Lustrous (Houseki no Kuni), which from the opening scenes established itself as a classic in the making. Everything from writing to visuals somehow improves with each episode, building upon the canvas in a steady and masterful manner. There are countless ways to discuss Land of the Lustrous, but one that has stood out to me from the beginning is the massive space occupying the frames of this show. 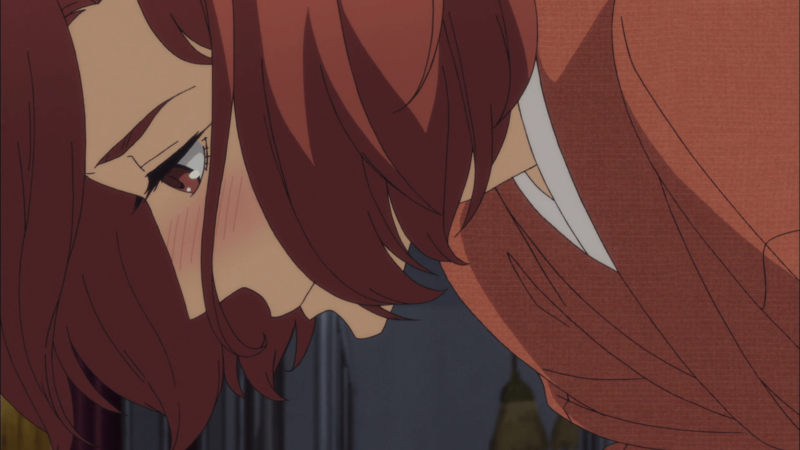 Almost a year has passed since the second season of Showa Genroku Rakugo Shinju aired, and even now the show stands among the top with the best of 2017. 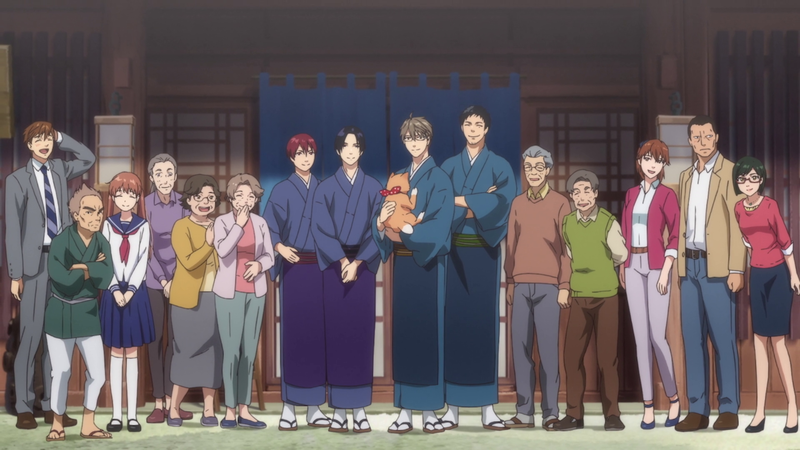 The sequel was not to be outdone by the original season, which focused largely on the past, and spent much of its time contemplating the role of rakugo from present to future. One of the story’s champions for progress can be found in the complicated character of Konatsu. 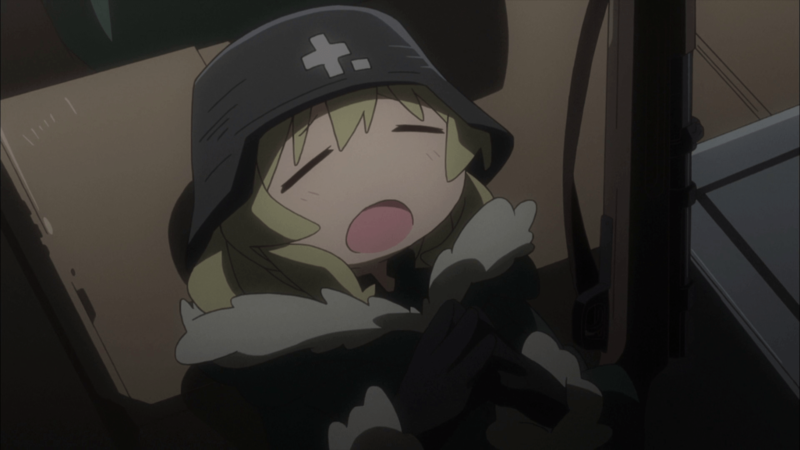 The near-constant stand up comedy in Girls’ Last Tour owes its success to the convincing personalities of its two main characters, Chito and Yuuri. As straight man and funny man, the girls give the viewers a unique perspective on their lives in a world nearly devoid of any other humans. In a way, their seemingly opposing outlooks mirror the very place they inhabit; as empty the spaces and dire the search for sustenance are, Chi and Yuu still manage to entertain one another and see the good things in life, as shown in the snapshots from their camera. As the viewer, we know we should be worried about them running out of food and fuel. What would happen if one of them became deathly ill, or injured? What if they run into someone far less kind than the ones we’ve met thus far? The danger always lingers, as does the compulsion to keep moving onward and upward.